Are you concerned about your investment losses in Global Income Trust? If so, The White Law Group may be able to help by filing a FINRA arbitration claim against the brokerage firm that sold you the investment. Global Income Trust, Inc. is a real estate investment trust launched by CNL Financial Group, LLC. The fund is managed by CNL Global Income Advisors, LLC. It invests in the real estate markets of United States. 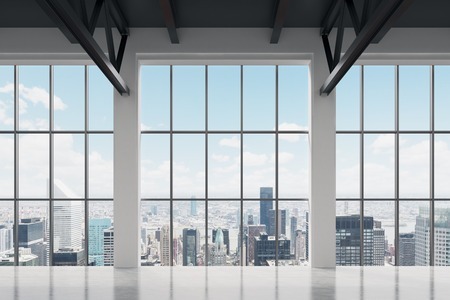 The fund acquires and operates a diverse portfolio of income oriented commercial real estate. The White Law Group continues to investigate claims on behalf of investors that purchased CNL Financial Group investments such as Global Income Trust and other non-traded REITs. Specifically, the firm is investigating the liability that brokerage firms may have for improperly selling these high-risk, illiquid investments. One of the major downfalls of REITs is the lack of liquidity. Non-traded REITs are not sold on the public market, therefore they lack liquidity. This prevents shares from being sold quickly and forces investors to search for a secondary market that is often very limited and priced significantly below the purchase price. Many brokerage firms target investors that were retired or near retirement, often emphasizing the potential income the REIT may provide. Unfortunately, some brokerage firms failed to disclose that it is not uncommon for REITs to borrow money in order to make distributions. In addition, distributions are often merely a return of principle. REITs are complex high risk products that are not suitable for most investors. To the extent that a brokerage firm improperly sold a non-traded REIT to an investor that either didn’t understand the product or could not afford the risk, that firm may be liable for the resulting losses. Brokerage firms have a fiduciary duty to its clients to perform adequate due diligence on an investment prior to recommending it for sale to its clients, as well as to ensure that any investment recommended is appropriate in light of the investor’s age, investment experience, net worth, and investment objectives. Given what is now known about CNL REITs (and the many problems with this offering), it is clear that certain of the brokerage firms that sold this investment failed in its fiduciary duty to its clients. To learn more about The White Law Group’s investigation of CNL REITs, see CNL Lifestyle Properties Secondary Sales. If you suffered losses as a result of your purchase of a CNL REIT, please call the securities attorneys of The White Law Group at 888-637-5510 for a free consultation. For more information on the firm, please visit https://www.whitesecuritieslaw.com.